Many modern blockbusters try to provide players with a buffet of gameplay experiences. However, crafting a game with a living economy, a massive open world, and dozens of minigames isn’t the only way to engineer a compelling experience. Outlast doesn't worry about perk systems, weapon upgrades, or even inventory management. Instead, this game is hell-bent on one thing: horror. Fortunately, Outlast is very good at the one thing it does. 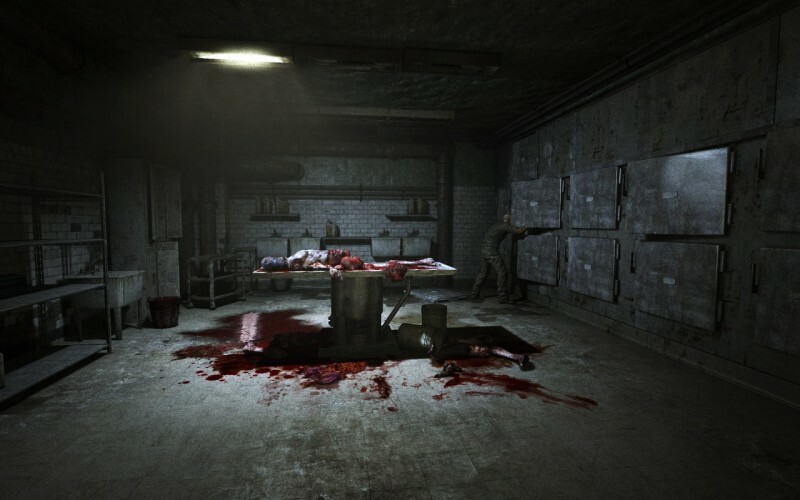 The entire game takes place inside Mount Massive Asylum – a government complex that was shut down in the '70s amid a mysterious scandal. In 2009, Murkoff Advanced Research Systems reopened the facility’s doors, but many believe that Murkoff's interests aren’t entirely honorable. When reporter Miles Upshur receives a tip from one of Mount Massive’s contract workers – who complains about the corporation’s questionable activities – he decides that Mount Massive could be the scoop of his career. After climbing headfirst into one of the asylum's second story windows, though, he soon discovers that he's descended into a hell he might never escape. From the moment the game begins, Outlast's atmosphere is oppressive. Doors shut unexpectedly, bloody footprints trail down hallways, and the weeping of grown men echoes off the walls. After crawling through red-streaked sewage in a frosted sewer and being chased through a medical ward by a demented doctor with giant scissors, I knew I would never know what to expect next. Mount Massive Asylum is populated with hundreds of deranged inmates – many of whom stare blankly at broken televisions or mutter to themselves while curled up in a corner. Most of the time, these lost souls are harmless, but you never know when one of them might decide to lunge for your jugular as you pass by. To make matters worse, a bulky figure with a disfigured face constantly chases you through the asylum’s halls, and he seems intent on keeping you from passing back out of the asylum’s front gates while wearing anything other than a body bag. It's a good thing that Outlast's atmosphere is so arresting, because its gameplay is rather simple. Miles is a reporter, so he's not equipped to fight back with firearms or makeshift weapons, or even a pocketknife. Outlast doesn't let you face down its terrifying threats; your only option is to run like hell and hope to find a locker or bed to hide under until the danger passes. The only thing in Miles’ pocket is a camcorder equipped with night vision. This gives Outlast a hint of stealth gameplay. You’ll naturally want to sneak past your enemies in the dark, but Outlast doesn't give you any tools to track enemies when they're out of eyesight, and it’s impossible to keep Miles’ size-twelve clogs from sounding like doorknockers even against the shaggiest of carpets. As such, you are constantly wandering into trouble and having to immediately backpedal to the nearest hiding spot and wait for your pursuers to forget you exist. Even then, you can't hear enemy movements over your character's own heavy breathing, so I would occasionally emerge from hiding to find that my foe was still in the room. Outlast’s biggest frustration is its lack of a map or some other form of navigation tool. It's easy to get lost in the game’s maze-like environments, and this is especially tiring when the game sends you on a scavenger hunt. I quickly grew tired of having to flip three switches to turn on the power, or drain a sewer pipe, or activate a sprinkler system before progressing to the next area. Being lost inside a pitch-black catacomb while men with knives try to sniff you out is intense, but it starts to lose its thrill when you wander past the same water pump for the fourth time. However, every time I started to grow tired of scavenging the environment for batteries to power my camcorder, the game threw a curve ball at me. Suddenly a contained explosion would blow me through a window and into a prison shower, or I'd end up dodging fire inside a cafeteria that some pyromaniac had turned into a blast furnace. It got to the point that even crawling through a vent and coming face to face with a docile inmate with an empty stare would send a chill down my spine. 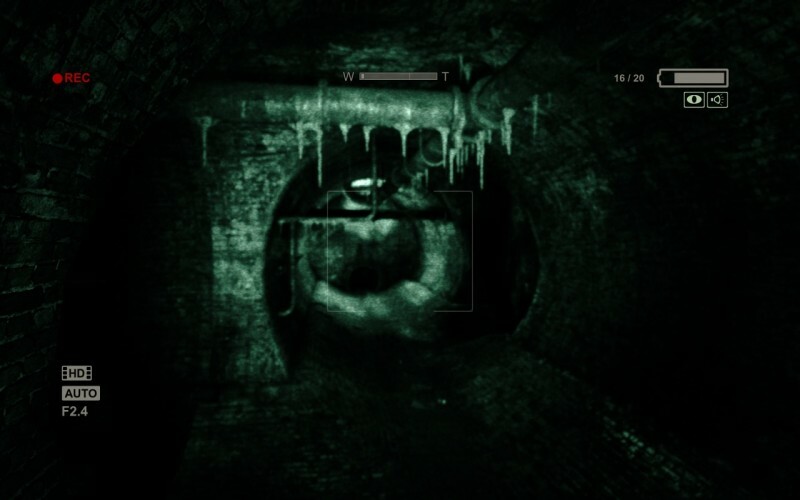 Outlast is a virtual tour through a hall of terrors. Even playing the game in full daylight makes me uneasy. 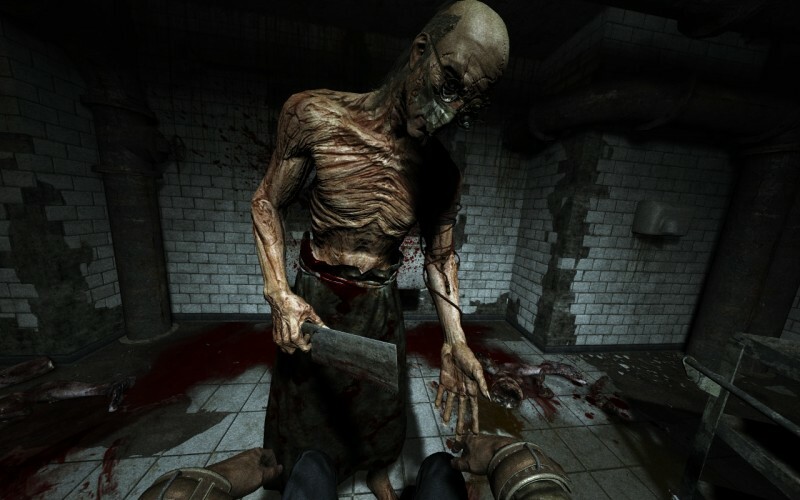 However, the game's overall level design and gameplay were sacrificed at the altar of fear. 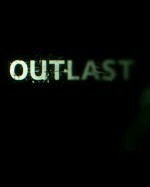 If you're looking for an experience that will get your adrenaline pumping, Outlast is hard to beat, but if you’re looking for a meatier horror experience then you might want to run past this one. Looking for another great horror experience? Check out Amnesia: The Dark Descent. good at the one thing it does.